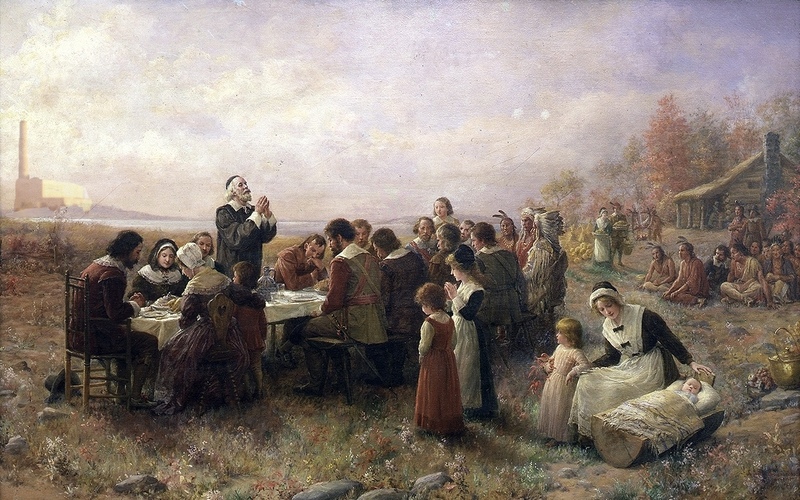 Each year we like to take a few moments on Thanksgiving to remember all the things we have to be thankful for. Thanks, Carlsbad for everything. We hope you have a wonderful day with your families and enjoy the blessings of living in the finest community in the world. Pictured (L to R): EverBank team members Dennis Smith, Tammy Walsh, Rian Tobias, Cajucom, Grant Tisdale, Club CEO Brad Holland, Scott Degnan, Vicki Hamamoto, Scott Sabo celebrate their toy drive success (not pictured: Simone DeLira). When Simone DeLira of EverBank was given the task of organizing the company’s grand opening in Carlsbad, priority one was making it be community oriented. One of the City’s oldest nonprofits, the Boys & Girls Clubs of Carlsbad, was selected as the charity of choice. 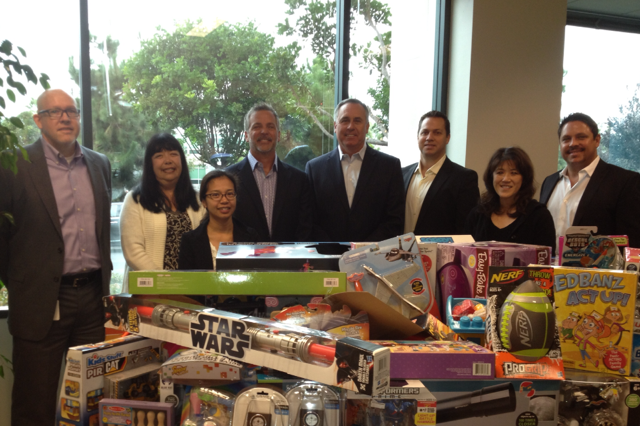 Each guest was asked to bring a toy or make a donation to the Club. Needless to say, it was a huge success! Tip Top Meats founder and Carlsbad legend “Big John” Haedrich (pictured right with his wife Diane) was recognized for his over two decades of services on the Tri-City Hospital Foundation Board of Trustees when he received the Legacy Award at the foundation’s Diamond Ball on November 2, 2013. “Big John is one of our community’s larger than life personalities and a model citizen. His entrepreneurial successes and his tremendous generosity are a true inspiration to all who know him,” said Kevin Stotmeister, chair of the foundation’s Board of Trustees. 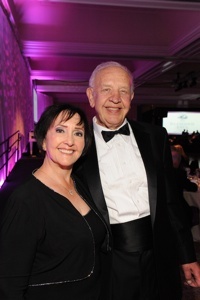 “The Tri-City Hospital Foundation is delighted to honor him with the 2013 Legacy Award.” . . . Good health and athletics were essential to Big John’s own youth and development in post-war Eastern Germany. They gave him the confidence and discipline he needed to find success as he pursued his early career as a butcher and ultimately moved to California, started a business and achieved the American Dream. For the record we’ll just say this: yes, it would be nice for Carlsbad to have a proper sign over Coast Highway like many of San Diego’s neighborhoods, but please, please, please don’t put a silly Wyland dolphin on it. You know what should be on the sign, right? 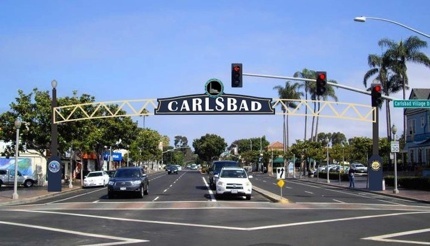 The icon of Carlsbad. The Encina Power Station standing mighty and tall.